Pumpkins are always a part of each Halloween party. It is the reason why color orange has been this time of the year’s color staple aside from black, white, green and purple. And when we talk about pumpkin for Halloween, we can never forget about the carve ones which represents Jack-O’-Lantern, a carved pumpkin. 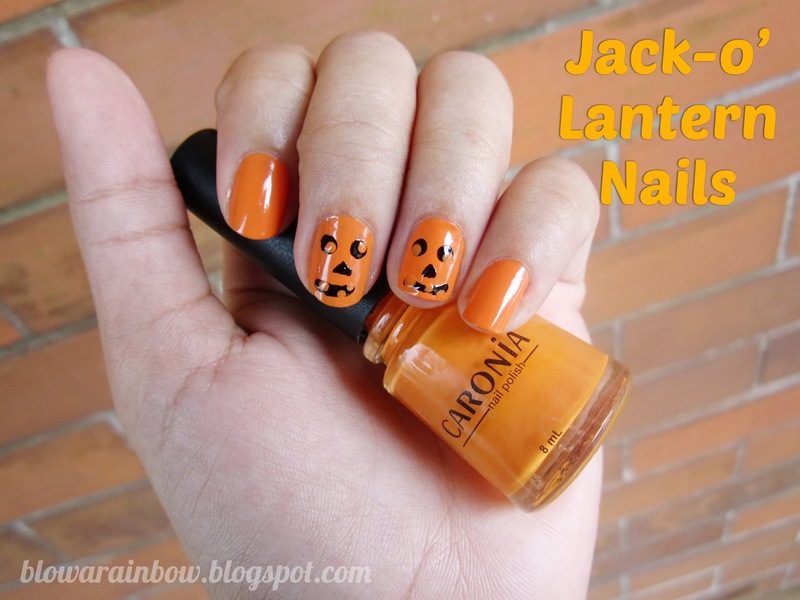 Today I’ll be sharing my second Halloween-inspired manicures for this year and it is no other than Jack-O’-Lantern! Recreating this manicure is super easy as it requires you just 2 colors which is orange and black, a dotting tool and a striper. I have also created a step-by-step tutorial below like I have done in my previous nail art tutorials before. So first you’ll gonna be painting your nails orange (I’m using Caronia Nail Polish in Sun Kissed here which is in a perfect shade for this manicure) depending on your desired opacity. Next, draw 2 medium circles for the eyes using your black color, followed by a small triangle for the nose. Create a curve line for the mouth as if your pumpkin is smiling, and thicken it by creating another line over it. Lastly, draw small circles inside the eyes and the mouth for details and apply generous amount of top coat to seal in your design. Gives off a professional look.